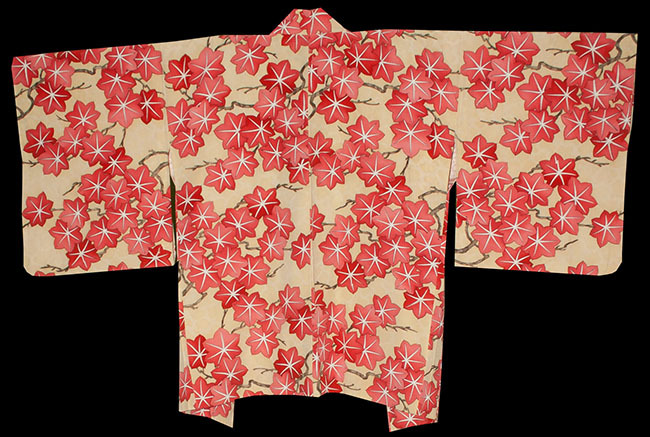 Kimoyes item: 22172 - Modern creamy yellow silk blend haori with dyed maple leaves in shades of red. 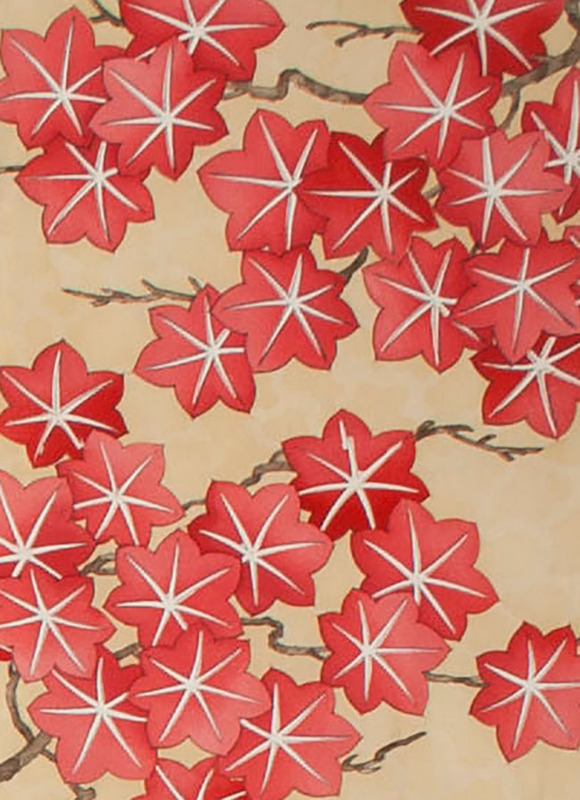 Modern creamy yellow silk blend haori with dyed maple leaves in shades of red. 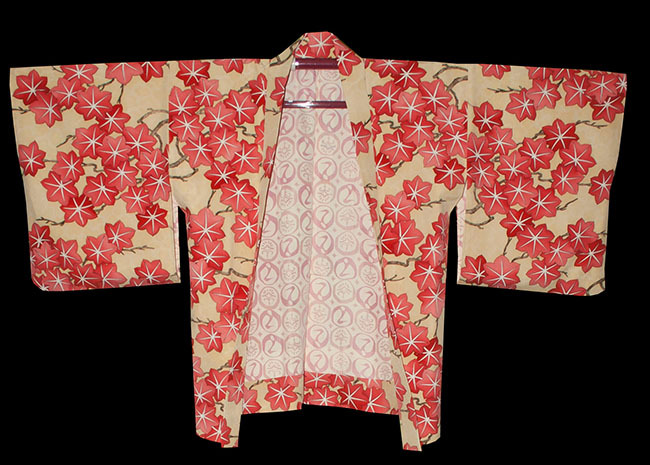 This autumn haori is finished witha pink and white silk lining. 32 inches long and 51 inches from sleeve edge to sleeve edge.